my yarn stash continues to grow and grow….guilty pleasure #1 (which comes just ahead of watching Gilmore Girls re-runs over and over) — buying yarn for the pure pleasure of “I must have it!” , no particular project in mind but just it’s beautiful and I will think of something eventually. 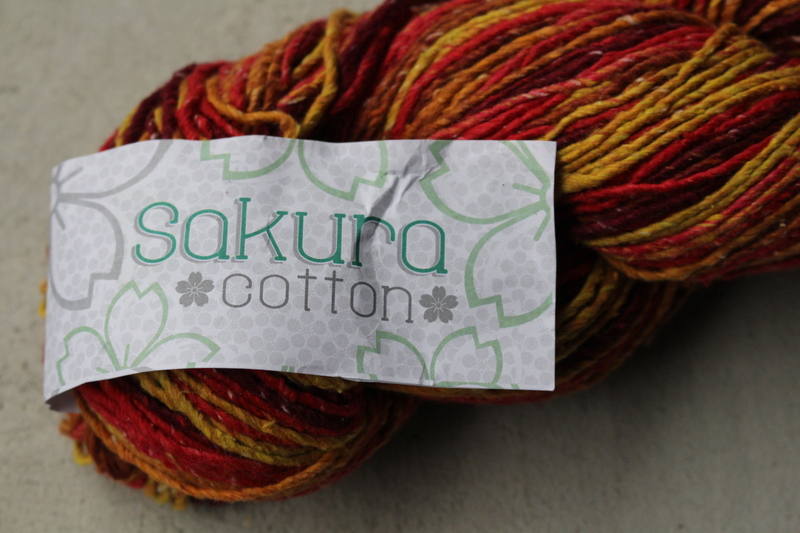 I picked up two 100g hanks of Sakura Cotton, it’s called colour no. 52803 but if I had to name it, I would call it “Canadian Fall” There are beautiful hues of reds, oranges, yellows and browns, all colours that make up the leaves falling this time of year here in Vancouver, BC. 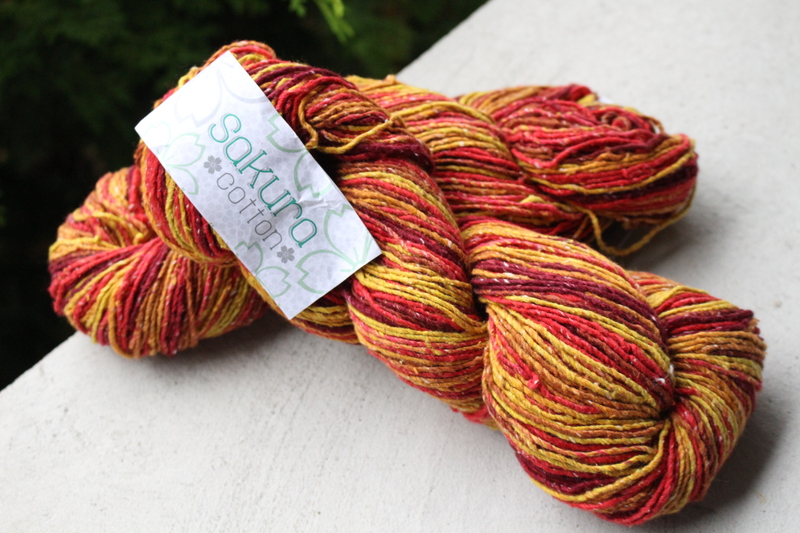 Made of 50% cotton, 30% viscose and 20% silk, this yarn has texture while remaining soft, making me lean towards using it for a lacy style shawl/wrap – light enough for fall but adds warmth on the chillier mornings. If you have a project idea that you think would be perfect for these lovelies, please share! I’d love to hear from you!